Nintendo’s most recent addition to their franchise, Super Mario Odyssey (2017) is, put simply, a nearly perfect game. Nintendo’s Mario games are some of the few in the industry that continue to garner widespread praise and blockbuster success, while still cultivating a cute and rather benign aesthetic. Mario games continue to successfully resist the hyperviolence of other console/PC games that make up the majority of games that have its level of success. The franchise’s popularity depends both on brand recognition as well as unusually tight mechanics that are necessary for a good platformer experience. Mario games always feel carefully and lovingly designed, facilitating a desired sense of “flow” and control. Odyssey is no different, yet it would be shortsighted to see it as just a continuation of what Super Mario 64 began. If Mario 64 marks the transition from 2D to 3D games, Odyssey [along with The Legend of Zelda: Breath of the Wild (2017)] is Nintendo’s foray into the open world genre. But what continues to place it squarely into what gamers will recognize as a platformer is that it all still centers around the jump. Beginning with Donkey Kong (1981), in which Mario’s name was simply “Jumpman,” the Mario franchise has been defined by the jump—jumping from platform to platform (hence the name of the genre) and on top of the enemies. Odyssey is no different, but it takes the jump and simultaneously pushes it in two directions—both of which are related to the open world structure of the game (more on this shortly). The first is that through a series of “moves” (both literally and figuratively), the jump mechanic is deconstructed by incorporating the franchise’s history. Second, Odyssey creatively reconceptualizes what a jump can be, by allowing Mario to possess enemies and use their means of movement. Starting with how Odyssey refers to the Mario series, we can see this play out in multiple ways. Most directly, the default moveset for Mario is a “greatest hits” of the various jump mechanics throughout its 3D iterations. All of the many jump mechanics in Mario 64 are in Odyssey, such as the “triple jump” (Mario jumps three consecutive times, with the third jump going much higher than the first two) and the wall jump (Mario jumps into, and then off of, a wall, like someone practicing parkour). Additionally, the option to fly in the air and glide down with spin of the joycon comes directly from Mario Galaxy. Odyssey more self-consciously engages with its history in the 2D sections of the game. This is different than the New Super Mario Bros. series, in which the game switches between 3D and 2D sections of the game, while still maintaining the same 3D models and textures. Instead, Odyssey actually transitions the player into 8-bit and 16-bit versions of Mario from various arcade, NES, and SNES iterations of the series. Within the game’s larger space, it imbeds sub-spaces that, when entered, simultaneously change the visual and ludic aspects of the game. This allows the player to move in and out of Mario’s history in a nonlinear, spatially motivated way, thereby creating a much more radical variability in the gameplay experience. What is impressive about Odyssey is not simply that these design choices were made, but how seamlessly they are integrated into open areas. The video game “jump” is not a static, a priori thing, but rather a carefully designed mechanic with many different forms and categories. We can abstract the concept beyond one that is immediately familiar. If we tentatively define the “jump” as a form of movement that allows the player/avatar to traverse space along the X, Y, and Z axes, then Odyssey pushes the concept of the jump further than any platformer before it. It does so through the mechanics surrounding “Cappy”—Mario’s sidekick in the game who allows Mario to “possess” animate and inanimate things. This is the second direction that Odyssey pushes the jump. The first was to implement its past into a new world, and the second is to completely reconceptualize the jump as it has been understood in the Mario series, and by extension within platformers at large, by allowing Mario to possess various things throughout the game. Staple enemies of the series, such as Goombas, Koopa Troopas, and the Hammer Bros, can now be possessed by Mario and controlled. But the game adds a plethora of new creatures, such as caterpillars that can scrunch and then extend their bodies, allowing you to cross large gaps. 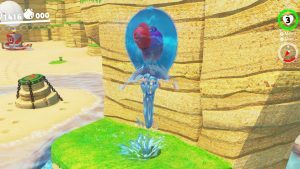 If Mario possesses the Gushen (an octopus floating inside a bubble of water), he can shoot out a jet of water either below (allowing you to shoot high into the air) or outward to hit an enemy. In one puzzle, Mario must possess a giant cubic stone and roll it around to get the correct side face down on the correct spot of the map. He possesses rockets to shoot to hidden locations, or small springy rods that you can “flick” to send Mario flying in any direction. The various options and possibilities for implementing these possessions are too many to fully explore here. Nevertheless, they are all centered around the concept of the jump, even if it is not jumping per se. In other words, they create new ways of engaging with the terrain of the level and with the obstacles it provides. The game encourages you to explore without necessarily any real purpose, and play around with the different possibilities of movement. But it also rewards such behavior. Each “level” is a relatively large open space, dense with objects to collect and “minigames” to play. These intricately and seamlessly interwoven microcosmic puzzle spaces are linked by a common thread of orienting the player in the world. This orientation is to overcome obstacles. It requires a combination of active skill and puzzle solving. One thing pushes the player forward as they explore each stage—how do I get there? What’s at the top of that ledge? What’s at the other end of this crevice? The answer to this question is invariably a combination of various ways of traversing the space—a combination that may require Mario’s stock moves, but more than likely will also require a possession or two, to utilize alternative forms of locomotion. It is this wide category of traversing space that I suggest should collectively be thought of as “the jump.” The jump is a response to the way the world orients the player/avatar, but from a design perspective, the world is built in response to the player’s desire to jump. At its best (which Odyssey does achieve), the jump combines a balance between agency and chance. In other words, control and helplessness. The player can choose when to jump, but there are rules. The jump can only go so high, so far, and for so long. The jump becomes a way for the player to propel their avatars into the world. It is this combination of controlled chaos or predictable randomness that best characterizes games, in general. 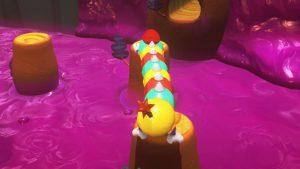 Mario Odyssey succeeds in innovating within platformer genre conventions through the series’ characteristic simplicity. This is not a simple game. Rather, it interlocks many intuitive, simple, and precise elements to form a complex set of puzzles, obstacles, and spaces. 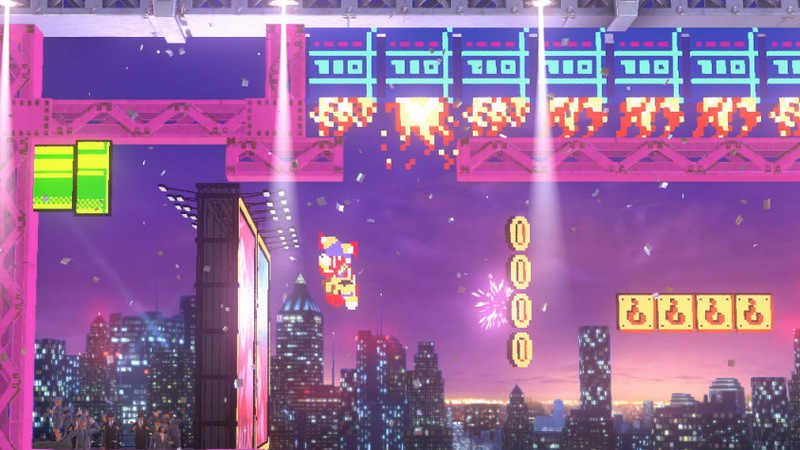 Whereas other games in the series mixes things up by adding completely foreign mechanics, Mario Odyssey returns to its roots and focuses purely on the jump. It both looks to its past, incorporating NES aesthetics and jumps from Mario 64, and pushes the boundaries of the jump with Mario’s ability to possess other characters. Odyssey impressively integrates all of these components into open world stages that allow seamless transitions from various modes of play. Mario has never had more moves to choose from, and those moves have never felt more tight nor more fluid. The “platformer” is a video game genre and refers to the process of jumping through obstacles to reach a goal. Super Mario Bros. (NES, 1985) established many of the definable genre characteristics in one game. Other early platformers include Sonic the Hedgehog (Sega 1991) and Mega Man (Capcom 1987). Super Mario 64 (1996) marks Nintendo and Mario’s transition from 2D platformer to 3D platformer and continues to be highly influential on present day 3D platformers. 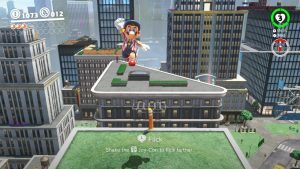 For a more detailed breakdown of this see: “Super Mario Odyssey: We Tested The Jumps” (Kotaku, https://youtu.be/WSXI05RSSsA). Tim Rogers, “Super Mario Odyssey: We Tested The Jumps,” (Kotaku, https://youtu.be/WSXI05RSSsA).